Stress, Anxiety, and Depression: these are two of the most common causes of chronic insomnia. Stress, anger, worry, anxiousness, and negative thoughts can have a dramatic effect on sleep quality. Stimulants: Excessive use of caffeine, such as energy drinks and coffee, is one of the most common causes of intermittent and transient insomnia. This is insomnia that occurs periodically or only for a few nights at a time. Medications: Some medications can interfere with sleep, such as antidepressants, ADHD medication, corticosteroids, thyroid hormone, high blood pressure medication, some contraceptives, pain relievers that contain caffeine, diuretics, and diet pills. Allergies and Respiratory Problems: Colds, sinus infections, and upper respiratory problems can make it hard to breathe at night which can cause sleeping difficulties. Nocturia: Frequent urination and constantly getting up in the middle of the night to use the restroom causes sleep disturbances. 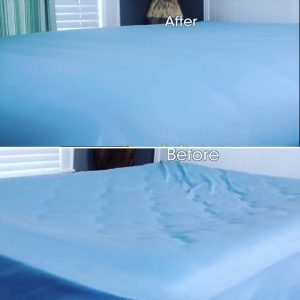 Get a better and newer feeling mattress with added firmness and support from underneath your mattress where you need it most, with the Mattress Helper to avoid at least one of the causes of sleep disorders we note here. Don’t replace your mattress – firm it up instead and save BIG while you SLEEP BETTER!